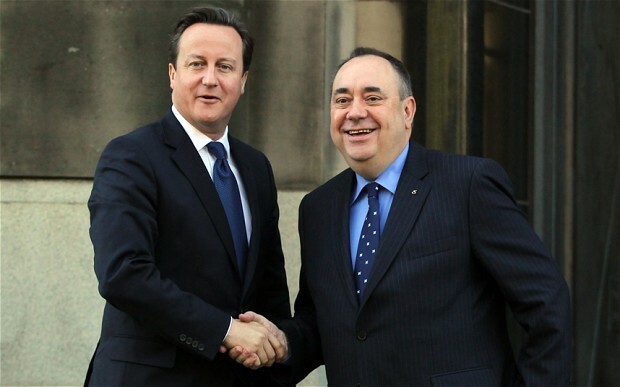 Scotland Independence Referendum: Is United Kingdom a Future Federal State? The United Kingdom (UK) comprises 4 states/countries forming what is commonly known Great Britain or the UK of Great Britain. These countries are England, Scotland, Wales and Northern Ireland. These countries forming the UK are respectively large as follows: England (130.395 Km2); Scotland (78.772 Km2); Wales (20.779 Km2) and Northern Ireland (13.843 Km2); that is in total 243.789 Km2. The total area of UK makes the Kingdom to occupy the 78th place worldwide largest state; while it is the 11th position in Europe. The 2014 statistics reveals that UK is also the world 21st in terms of yearly Gross Domestic Product (GDP) per Capita ranging around $38,711. Its DGP/Capita is approximately 120 times larger than that of an ordinary Congolese. Moreover, the UK is inhabited by roughly 64 million of population. One of the countries forming the UK has held a referendum on 18th September 2014 aiming to get detached from the Kingdom. That is simply, Scottish would have been independent if YES had won the referendum. Though these countries have an important degree of autonomy over their management, voices can still mount to get as much as large sovereignty as do other independent countries. The degree of autonomy in UK countries is called devolution allowing Scotland, Wales and Northern Ireland to have their own executive and parliamentary bodies under the responsibility of the Kingdom. In other words, the UK government and Parliament have much to decide on the economic and political issues regarding the UK. The Scottish referendum was closely watched by different regions in Europe as well as in other continents wishing the same to happen to their regions (countries). Though it would have been unfortunate to see the UK splitting into small parties, voices of those claiming independence have at least been heard as the referendum went organized. On one hand, ‘civilized culture’ doesn’t need to resort always on guns to get aired. On the other hand, those to whom claims were addressed couldn’t stick on their position. Therefore, leaders must allow people to express freely their feelings and aspirations. What has kept the attention of this article is the quick response of the UK Prime Minister towards the Scottish demand. By choosing unity, there is yet another side of people willing to see their own affairs well managed into their own hands. Thus, there was no other manoeuvers from London other than accepting more devolution for the sake of strong unity. Close to a ‘highly decentralized’ form of government, the politico-administrative system of UK is quite complex to elaborate in a short post. However, the next step to be taken after the referendum has mostly interested this article. The UK Prime Minister David Cameron has announced more devolution regarding taxes and welfare management. He stated that “we now have a chance — a great opportunity — to change the way the British people are governed, and change it for the better“. The decision comes as a response over the demand of a large number of Scottish people who voted for Yes. The final count of the Scottish referendum expressed that 44.7% of the 85 % of eligible voters have casted on YES. The more competences on Scotland, Wales and Northern Ireland will be devolved, the more appropriate legislation will be undertaken to fit the former. The message of the Prime Minister David Cameron sounds as leading the UK government to federalism, commentators including myself have noticed. As the reader can imagine, the response came in as much as quick to respond to the population’s willingness who casted their vote to Yes while it can be interpreted as responding to claims of those who seemingly have failed. The announcement is seen as a requirement to unify and keeping the UK stronger. Hence, devolving more competences to entities can contribute to enhance unity by making them widely responsible of their own affairs. The response over Scotland case is an interesting example that DRC would refer to for the future of country’s cohesion and unity. The point made here is about making local entities as well as provinces in DRC more responsible and viable. Unfortunately, the current political mood in the former Zaire looks leading to backslide and more centralized. The reason is concentrating power remains the way rulers can have control over individual and resources. It seems as erroneously interpreted when rulers think that being quiet expresses consent. There might be well grounded grieves that can remain hidden due the terror environment. The blog always think that Congolese are human being who express their wishes by means on their hands, ‘reponse du berger à la bergère’. Rulers would be advised to dig deep in terms of understanding what all these confrontations mean in claiming the improvement of socio-economic conditions of ordinary citizen. Though sharing much in common such as similarities in terms of culture, language and high level of standard living, the reasons of some Scottish to claiming independence are mostly related to the evolution of how UK has been formed over time. Those wishing to get Scotland independent claims that full decision will be made over political affairs of their nation. In addition, nuclear disarmament (control over defense and foreign policy); financial benefits from Scottish oil and gas; renewable energy; culture reawakening and influence within international fora-organizations are mostly cited by the supporters of independence. These reasons of supporters of independence are also opposed by those in favor of the union. Those favoring union claim that within the UK family, Scotland is economically strong as independence would require taxes increase to match public spending. And of course, other convincing points in favor of the union during the globalization era. If UK decided to establish federalism, it would be the nth State deciding to join the group of Countries who have chosen overlapping jurisdictions. That is, federalism gives each level of jurisdiction to have its own judicial, legislature and executive powers. These countries are Argentine (2,870,400 Km2), Austria (83,871 Km2), Australia (7,629,024 Km2), Belgium (30,528 Km2), Bosnia (51,197 Km2), Brazil (8,515,767 Km2), Canada (9,984,670Km2), Comoros (2,034Km2), Ethiopia (1,104,300Km2), Germany (357,168 Km2), India (3,287,590 Km2), Malaysia (329,847 Km2), Mexico (1,972,550 Km2), Micronesia (2,700 Km2), Nepal (147,181 Km2), Nigeria (923,768 Km2), Pakistan (796,095 Km2), Russia (17,098,242 Km2), Spain (504,645 Km2), Switzerland (41,285 Km2), Arab United Emirates (83,600 Km2), United States (9,629,091 Km2), and Venezuela (916,445 Km2). The list of these countries shows that federal States represent 40% of the world population as well as 49% of the world surface area. Therefore, federalism has to be seen as being among the largest political systems running the world. The history of federalism seems to have evolved from fitting socio-cultural diversities within public affairs and governance. Though these countries mentioned above implement differently federalism to fit the socio-cultural diversities and to some extent largeness of countries; it is recognized to the political system of creating a room in which these specificities are likely integrated into respective states. Additionally, it is worthwhile to notice that some of these federal countries are roughly safe and can provide easily services to their citizens. However, some of them are still lagging behind regardless of having implemented federalism that makes regions and communities to manage their affairs. Hence, federalism wouldn’t ever sound as entering in safeguarded fence, where nothing can harm (if this type of fence has ever existed). Nonetheless, it would be hard to express that the federal system is held responsible of lagging behind. By contrary, the reader would rather question of what would have happened if these currently federal countries had remained centralized. As matter of fact, most of these countries went through centralized political system which they found as not appropriate for them. The preference of federalism over centralized or something close to this is motivated by the fact of avoiding nepotism within the public sphere, specifically in the wake of different initiatives aiming to stabilizing the then Zaire. In any case, moving forward requires huge sacrifices to the extent there must a need of blazing a trial. However, in the context of DRC, federalism remains the appropriate one based on socio-cultural diversities that displays the country as well its largeness. The time we spent on chanting Mobutu slogans or shooting and killing each other would probably be recovered by establishing an adapted politico-administrative system. Moreover, it has to be honestly implemented by recognizing the failure of the past. Some documents do consider South-African Republic as a federal state. The reader can check if South-Africa implements on one or another type of federalism. Next PostNext FARDC Reshuffle: What Is It and What Next?